Ready to “Move Mindfully”? Meet the Seacoast’s Newest Studio! Welcome to EVOLVE Mindful Movement—the Seacoast’s newest downtown boutique fitness studio in the heart of Portsmouth. 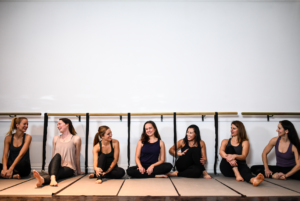 At EVOLVE, classes blend physical and mental strength, as well as mindfulness, through a a variety of yoga, barre, cardio, and buti classes offered throughout the week. EVOLVE Mindful Movement was created by longtime Seacoast resident Jackie Lucas, who is committed to rising above life’s obstacles and tapping into mindful movement to develop our best, healthiest selves. Learn more about EVOLVE Mindful Movement!